Using your card to withdraw cash could be cheaper than buying it an exchange bureau - here's why. 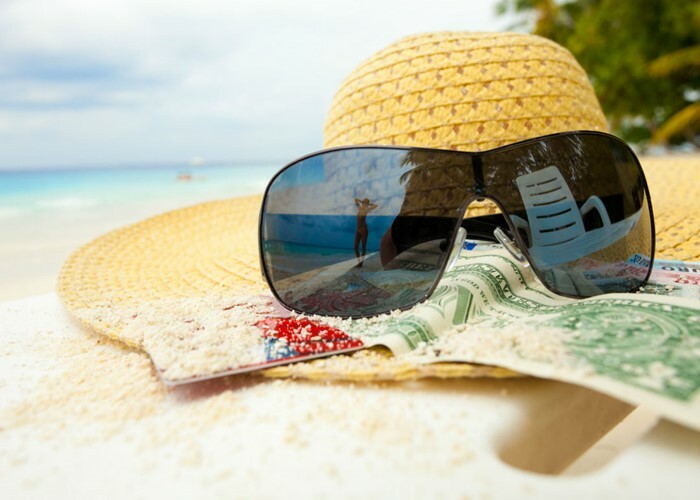 What's the cheapest way to get your holiday money? Many of us know that we shouldn't buy our cash at the airport. But it turns out we could save even more by using our card abroad or withdrawing cash from an ATM in the country we're travelling to. That's according to rating agency Defaqto, which analysed the cost of spending €100 in Europe by cash, debit card and credit card. Using a high street (not bank) exchange bureau, spending €100 would effectively cost £2.57 in exchange charges. Using the cheapest debit card out there, the conversion cost would be almost half, at £1.50. A credit card was also cheaper than cash, costing as little as £1.71. This study comes with some important caveats, of course: you'll need to use a specialised travel debit card or credit card, as most have rip-off fees for use abroad. The point is that with the right forward planning, you shouldn't need to exchange cash before your holiday anymore. If you must, however - such as to pay for a taxi from the airport - here's how to get the best deal. This is a major currency exchange ‘no-no’ – millions of pounds are wasted every year by holidaymakers changing up cash at the airport because of the poor exchange rates. Rates at the airport tend to have a major mark-up compared to the ‘spot exchange rate’ (sometimes called interbank rate) – the rate at which institutions change money in the markets – which is currently €1.1572 or $1.3045 per £1. Changing money at the airport is generally around 10% more expensive. However, if you always leave things to the last minute you can still aim for a better deal. For example, Travelex lets you order money online, at a better rate, up to four hours in advance of you picking it up at the airport. If you want to exchange cash before you go the best thing to do is compare rates online. The majority of people swap currency at the Post Office, at travel agents or at banks or building societies but often online providers and services could be much cheaper. Online companies like Travel FX and ICE often provide better exchange rates and free next day delivery (usually for orders over £500). Even supermarket banks like Tesco Bank and Sainsbury's Bank can offer good rates, as do department store banks. In many cases, you can pick the cash up in-store but benefit from online rates if you pre-order. When you're comparing currency providers, you should make sure you compare any fees and delivery charges as well as the exchange rates on offer. You should also try and include independent bureaus on the high street near you. If you really don’t have time to order online and need to buy your currency on the high street, from the Post Office, for example, don’t pay on your debit card as there is likely to be a charge. Withdraw cash from an ATM instead and use that. Charges apply for overseas spending and cash withdrawals on most debit and credit cards and they can be pretty hefty. The cost varies depending on the type of card you’re using and what you’re using it for. However, the few cards without fees offer much better exchange rates then you'll get from bureaus. Top debit card options include Starling Bank and Revolut, both of which are app-based banks that are free to get. The top travel credit card is the Barclaycard Platinum Cashback Plus (APR 21.9%). If you pay the balance off in full every month you won't be charged any fees or interest and in fact will earn 0.25% cashback. The Tandem Journey Mastercard (APR 24.9%) is fee-free and more accessible for those with a limited credit history. Check out The best fee-free credit cards to use abroad and The best debit cards to use abroad for more. You could also use a prepaid card, but specialised debit and credit cards generally work out cheaper. When making a payment while on holiday, always pay in local currency if you’re given a choice. Some retailers and restaurants will ask if you want to pay in sterling but you could be stung by their high exchange rate if you accept. This is called dynamic currency conversion – avoid it. Should you pay for a buy back rate when exchanging currency?